President Akufo-Addo is expected to embark on a massive cabinet reshuffle, which is likely to see a number of prominent ministers and deputy ministers lose their positions. Information gathered by DAILY GUIDE indicates that the President would undertake a shake-up of his government in the coming days owing to incessant pressure from key figures in the New Patriotic Party (NPP) and civil society organisations. The reshuffle follows the dismissal of Energy Minister, Boakye Agyarko, on Monday night over the renegotiated AMERI deal. The reshuffle, DAILY GUIDE’s sources said, would involve moving some cabinet ministers from their current portfolios to others, while some ministers would be completely booted out of office. Some deputy ministers would similarly be reshuffled, as the President considers the option of reinforcing his administration with ‘competent’ and more reliable hands. Regional ministers, as well as their deputies, would also be taken through the reshuffle process. 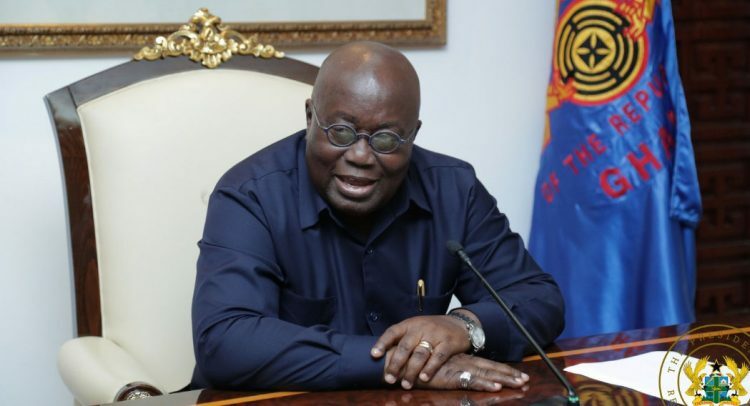 President Akufo-Addo has been under pressure from groups, civil society organizations, as well as ordinary Ghanaians after appointing a total of 110 ministers and deputy ministers when he took office. The President may heed those calls to reduce the number of ministers, as he considers working with a few ministers and deputies. DAILY GUIDE’s sources indicated that the President was expected to undertake the reshuffle in January this year after a rumoured December 2017 reshuffle fell through. However, the appointing authority planned to undertake the exercise after the NPP Conference in order not to rock the boat. Some of the current ministers have been weighed down by their ambition to succeed the President even before his tenure expires despite strong indications that he may be standing again. Some of the ministers are said to be building war chest for future primaries of the NPP, with others already doling out cash to constituency officers, particularly the chairmen. DAILY GUIDE has gathered that the President would not appoint a substantive Energy Minister any time soon following the dismissal of Mr Agyarko. A statement from the presidency and signed by Director of Communications, Eugene Arhin, did not state what exactly led to his dismissal by the President, but DAILY GUIDE learnt that it has to do with the infamous renegotiated AMERI deal which has sparked intense debate across the country over the past week. Angry staff of the country’s main power producing company, Volta River Authority (VRA), on Monday called for the dismissal of the Energy Minister. Mr. Agyarko has since been directed to hand over his office to the Minister for Lands and Natural Resources, John Peter Amewu, who would act temporarily as Minister for Energy until a substantive appointment is made. News of his dismissal was welcomed by those, who opposed the renegotiated AMERI deal, including staff of VRA. They commended the President for his steadfastness in protecting the public purse. But sources have told this paper that the Minister of Lands and Natural Resources, John Peter Amewu, would continue to act as the Energy Minister until the President appoints a substantive Energy Minister in the ministerial reshuffle.